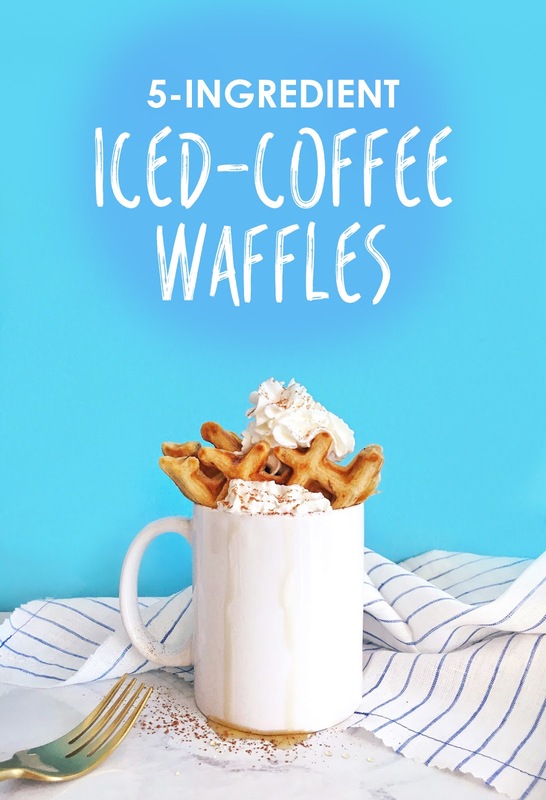 5-Ingredient Iced-Coffee Waffles! / Hey, EEP! 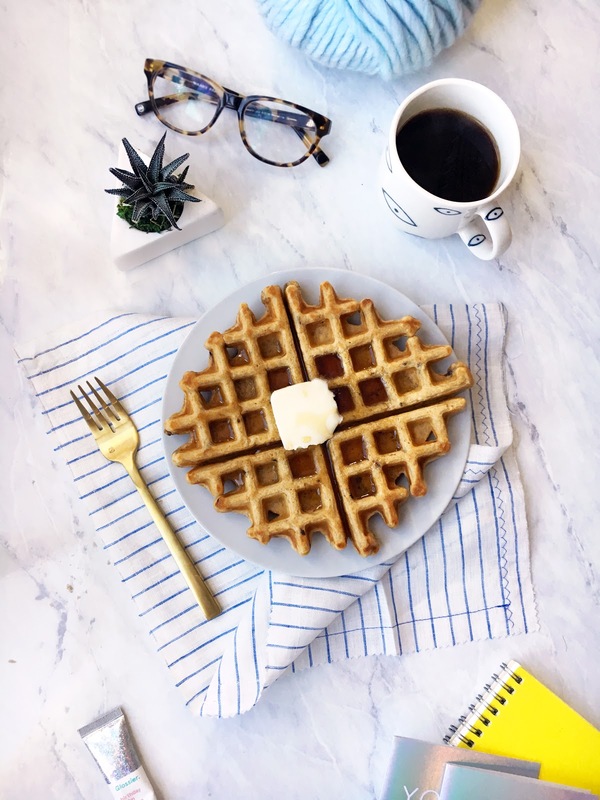 I love a waffle recipe that uses self-rising flour. Something about not having to measure baking soda or baking powder feels so sneaky and cool to me. I've never found a waffle or pancake mix that I've really loved. Do you have one you like? 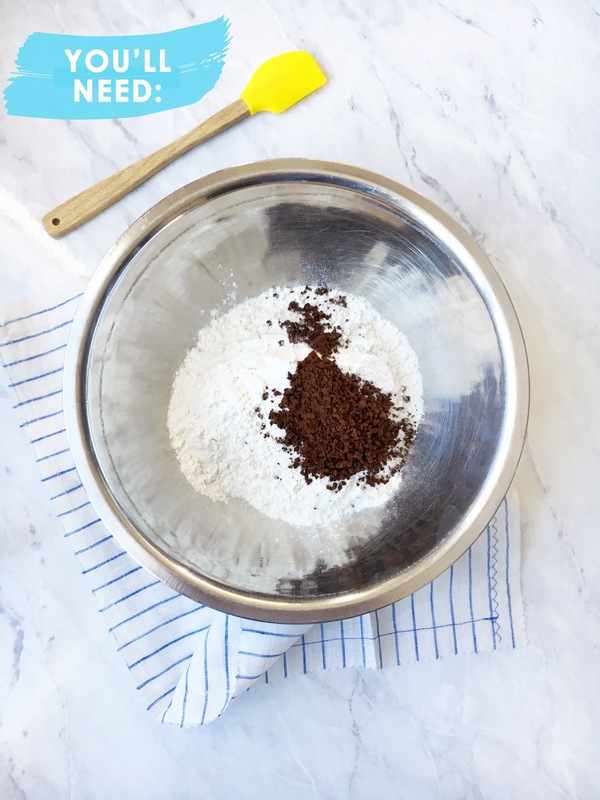 For the past few years, this has been my "waffle mix," simply because it's so easy and fast. 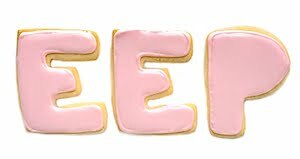 You'll notice in the recipe below that I don't use any sugar. I'm someone who loves dousing my pancakes and waffles in lots of butter and syrup, so I don't really need the syrup recipient to be sweet on it's own. Does that make sense? 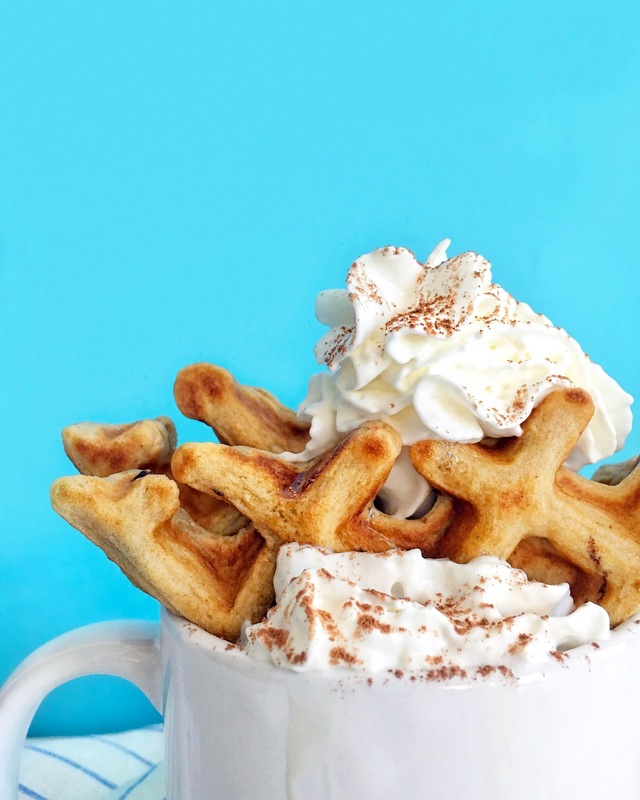 If you like your waffles sweeter, you can add a few spoonfuls of confectioners' sugar and they'll be diner-like and perfectly sweet in no time! 2. 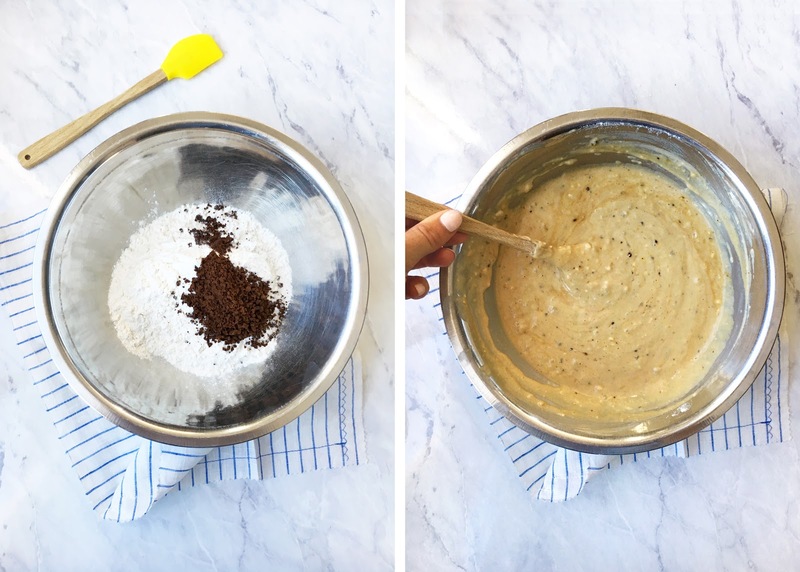 Meanwhile, whisk the self-rising flour and instant coffee in a medium bowl. 3. Add the milk, egg and butter to the flour mixture and gently stir together until just combined. Let sit 2 minutes while you spray the waffle iron with non-stick cooking spray. 4. Spoon batter into the waffle iron and cook to your desired doneness, I usually select "medium." 5. Serve with butter, syrup or whipped cream—you do you! TIP: Add 1 to 2 tablespoons confectioners' sugar to the batter for sweeter waffles, if you'd like.